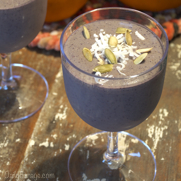 Home » Posts Tagged "Fall recipes"
This smooth and creamy gluten-free, dairy-free protein smoothie is loaded with nutrition and health benefits of pumpkin, pepitas (pumpkin seeds), blueberries and cashew butter. I like how there’s not guilt in loving this day-starter! 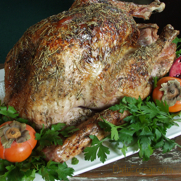 Our fruit-based basting glaze recipe, with a touch of Jack Daniels Whiskey, gives this gluten-free Thanksgiving turkey a golden skin and moist meat. The aromas of the herbs, apples, and pomegranate waft through the air and will make your guests anxious for the dinner bell. 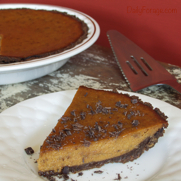 I’ve put a little “black tie” action on our pumpkin pie by adding a layer of rich dark chocolate ganache between a ginger graham cracker crust and creamy, dairy-free pumpkin filling. Oh yeah! 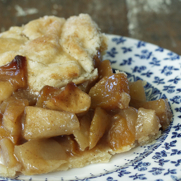 All done with the intent of having even more tasty pie options – especially at Thanksgiving and the holidays. 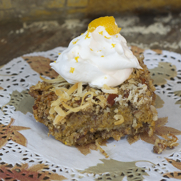 This cake bakes up moist and flavorful with no surprises. 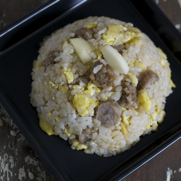 The texture is similar to a muffin, tender and light, but not so airy that it becomes difficult to frost. 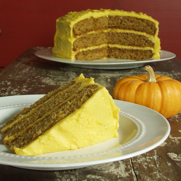 I love how the ginger in the buttercream frosting pairs so well with the pumpkin. 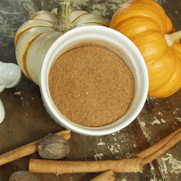 Gluten-free Homemade Pumpkin Pie Spice is so easy to make, there’s no need to purchase a separate container of pre-mixed spices. You’ll save money and use up the spices that you most likely already have on hand … cinnamon, ginger, nutmeg, and allspice. Always ready for the next recipe when you are. It’s that delicious time of year when we get to guiltlessly indulge in fresh, crisp apples and the rich, hearty squashes, pumpkins, and gourds that come in at Fall harvest. What’s better than enjoying these in dishes throughout the season? Pairing them! 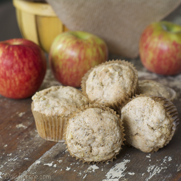 Our gluten free, dairy free Pumpkin Muffin Tops recipe is full of flavor while providing added nutritional benefits from pumpkin. 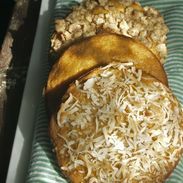 We’ll show you how to make a perfect gluten free, dairy free streusel topping and turn them into tasty sandwiches. 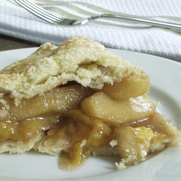 Our gluten-free, dairy-free, soy-free Rustic Apple Peach Pie recipe combines sweet summer peaches with crisp, tart apples, then adds a splash of Disaronno Amaretto to balance the flavors. 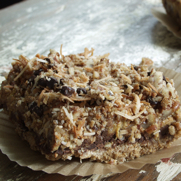 We’ve used our homemade gluten-free, dairy-free, soy-free pie crust and free-formed it for a rustic look. Our Herb-y Baked Chicken with Slow-Roasted Vegetables recipe makes a great gluten-free, dairy-free main dish meal. 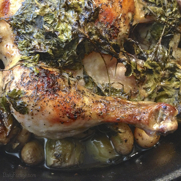 The chicken is roasted with Brussels sprouts and fingerling potatoes, then basted with cherry juice and covered with fresh rosemary and cilantro. The leftover chicken is perfect for sandwiches or pizza. Little work, LOTS of deliciousness! 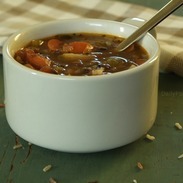 Our Minestrone Soup with Wild Rice is hearty and healthy. This gluten-free, dairy-free recipe has traditional flavors of tomato, with beans and vegetables, and a twist of rice and lentils. Perfect for a main dish soup dinner or lunch. Our Gingered Orange Cranberry Relish adds bitters, Grand Marnier, maple syrup, and orange zest to a traditional gluten-free recipe. 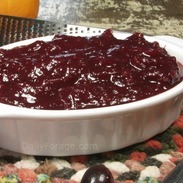 This Thanksgiving condiment is the perfect side dish to your turkey day feast.